Following the announcement this morning of the winners in the Best Of Wine Tourism awards, we bring you the top 10 best wineries in the world for tourists. 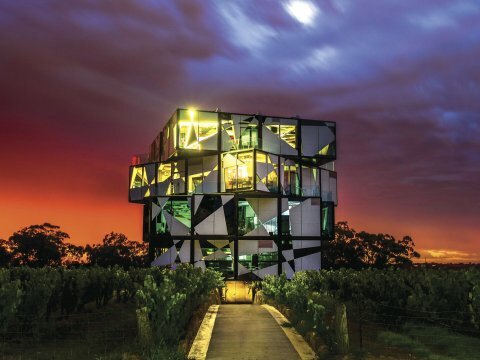 Revealed during a gala dinner at the Adelaide Botanic Gardens on November 8, a celebration of the following winners marked the end of the 2018 Annual General Meeting of the Great Wine Capitals in Adelaide, South Australia. These international award winners were chosen from among the ‘Best Of’ winners from each Great Wine Capital, with this year’s tourism awards attracting 384 entrants, and featuring 62 local award winners worldwide. Founded in 1999, the Great Wine Capitals Global Network is an alliance of 10 wine regions, which are: Adelaide, South Australia; Bordeaux, France; Lausanne, Switzerland; Mainz / Rheinhessen, Germany; Mendoza, Argentina; Porto, Portugal; Bilbao / Rioja, Spain; San Francisco / Napa Valley, USA, Valparaiso / Casablanca Valley, Chile and Verona, Italy.